From the foremost expert on conflict resolution and affairs, find out what you’re really fighting about and learn the tools of therapy to break the cycle of destructive fighting. 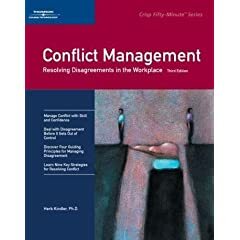 The Joy of Conflict Resolution helps readers understand conflict and why it arises through the lens of the “drama triangle” of victims, villains and heroes. Resolving Disagreements in the Workplace. Helps readers improve their interpersonal, communication, and mediation skills. A Practical Guide to Developing Negotiation Strategies. Well honed negotiating skills can benefit everyone both personally and professionally. 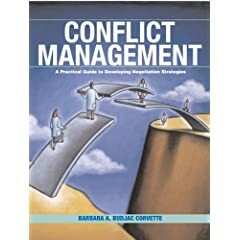 This book explores how to develop critical negotiation skills using a very individual, personalized approach. 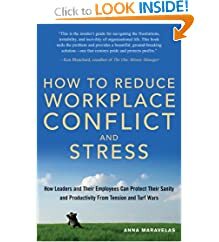 How To Reduce Workplace Conflict And Stress: How Leaders And Their Employees Can Protect Their Sanity And Productivity From Tension And Turf Wars. Helps executives, supervisors, and managers protect pride, profit and productivity from these disabling emotions. A Guide to Creating Productive and Healthy Organizations. 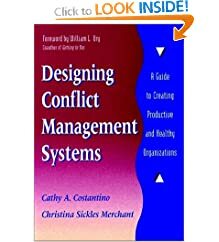 This book presents a clear, step-by-step approach for developing conflict management systems within any organization that anticipate the inevitability of conflict and deal with it in a efficient, cost-effective way. Empowering Solutions for Those Who Would Rather Run Than Fight. Nobody likes conflict, but you can't avoid it. Top performers just like you face problems every day. If you know how to deal with conflict well, you can turn it into your biggest opportunity for success.